We continue our series analyzing potential Chiefs draft prospects. Next we look at is this year’s top small school darling among the NFL Draft community. Nasir Adderley is an athletic coverage safety who can do anything that he is tasked with. His ability to be a playmaker on the defensive side of the ball, and the naturalness displayed by him on the backend sets up well at the NFL level. To start off, Adderley is precise in his tackling. As a safety, he does a good job of coming up and laying the lick at a good pad level. Adderley does not miss many tackles. His ability to run well sideline-to-sideline, as well as on a run up the middle puts him above others in this safety class. Besides being reliable as a tackler, the fact that there is a physicality brought with it is a plus. When watching Adderley on tape, it is clear that he can be placed in any spot on the field defensively and still come up with a good rep against the opposing offense. It does not matter if he is in the slot, switching to the middle third of the field or even in the box, his angles are never wrong and he never takes himself out of the play. When an opposing quarterback tries to throw deep against him, there is no shortage of what he can contribute to finish the play. Adderley is comfortable with both deep routes and intermediate routes. He excels best in zone coverage. One thing that is very evident, is that he will close down on a route quickly with some added physical play. When turning and running with deep routes, Adderley seems to never get burnt deep. Like his reliability in tackling, Adderley seems to be trusted in being put in different coverages on different parts of the field. Adderley is aware of the tendencies of opposing quarterbacks and what they like to do in most situations. He is also aware of opposing receiver’s route tendencies and communicates well with the other defensive backs. Like I mentioned earlier, Adderley feels natural in most situations. With the Chiefs needing a defensive back, Adderley has all the exciting traits that new defensive coordinator Steve Spagnuolo will love. Also, with Spagnuolo’s likeness to roll out safety and cornerback blitzes, this would set Adderley up well in the Chiefs system. His range, speed, ball skills and most of all, his preparation set him up well in coverage. Adderley would be a welcomed addition in Kansas City with a lean safety depth chart, and his character as a defensive football player. Thank you for reading. 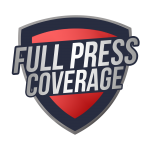 Be sure to check out Full Press Coverage for more 2019 draft profiles.